her very own detective agency. Her first job Follow him. Let's just say it's not going well. Not well at all . . .
Piper Dove is a woman with a dream-to become the best detective in the city of Chicago. First job Trail former Chicago Stars quarterback, Cooper Graham. The problem Graham's spotted her, and he's not happy. Piper soon nds herself working for Graham although not as the bodyguard he refuses to admit he so desperately needs. Instead, he's hired her to keep an eye on the employees at his exclusive new nightclub. But Coop's life might be in danger, and Piper's determined to protect him, whether he wants her to or not. (Hint: not!) If only she weren't also dealing with a bevy of Middle Eastern princesses, a Pakistani servant girl yearning for freedom, a teenager who just wants to fit in, and an elderly neighbor demanding that Piper find her very dead husband. And then there's Cooper Graham, a legendary sports hero who always gets what he wants-even if what he wants just might be an intrepid detective hell- bent on proving she's as tough as he is. Susan Elizabeth Phillips soared onto the New York Times bestseller list with Dream a Little Dream. 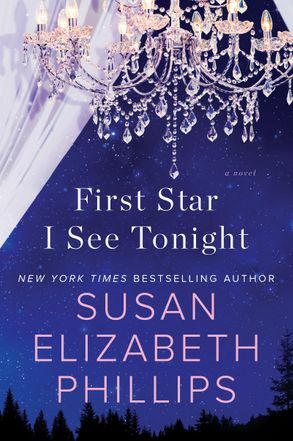 She"s the only four-time recipient of the Romance Writers of America"s prestigious Favorite Book of the Year Award. A resident of the Chicago suburbs, she is also a hiker, gardener, reader, wife, and mother of two grown sons.